The aiming problem is just for PC Ashe players. 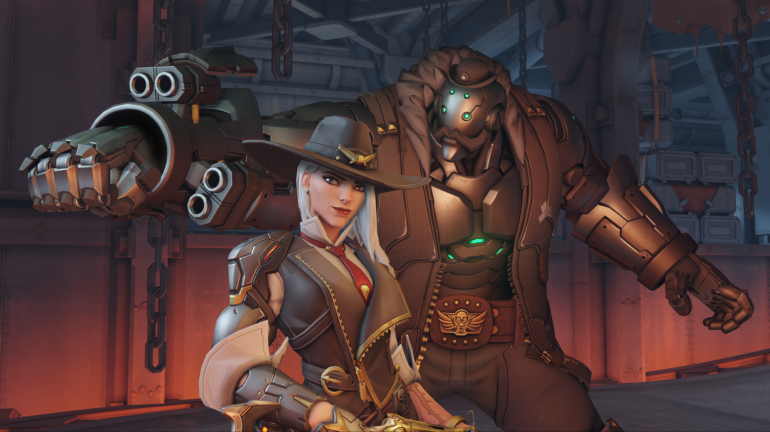 Ashe players may have noticed some inconsistencies on PC with aiming the new Overwatch hero’s weapons. As it turns out, you don’t just have bad aim. It’s a problem with the “aim down site” or ADS animation, according to Overwatch game director Jeff Kaplan. Responding to a lengthy post about Ashe’s aiming on Reddit, Kaplan said that animations can look “choppy” for players that use 60 FPS or higher. Blizzard’s fixed the problem in a patch after the current PTR patch. Kaplan said the team is looking into “pulling the fix forward” but noted that it’s unlikely. It’s not the kind of fix that can be rushed. “It’s a lot of code and needs a fair amount of testing so we don’t want to rush it and risk breaking something else,” Kaplan said. Kaplan did not give a timeline for the fix. The current test server patch, which targets crowd control heroes like Brigitte and Doomfist, was just uploaded into testing yesterday. Blizzard’s making a number of changes to some of Overwatch’s heroes; the changes could make it onto the live server as soon as next week. But like always, there is no concrete timeline available for the state of Overwatch’s PTR.